Diagonal banded Sweetlips fish (Plectorhinchus lineatus) on tropical coral reef - Agincourt reef, Great Barrier Reef, Queensland, Australia. 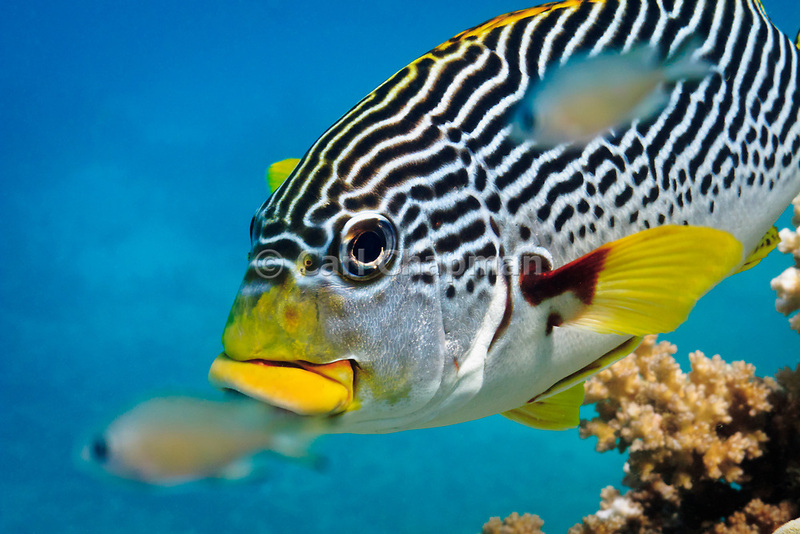 Also commonly known as Yellow-banded Sweetlips, Oblique-banded Sweetlips or Goldman’s Sweetlips. © Carl Chapman - Unauthorised copying or use of this image is prohibited.